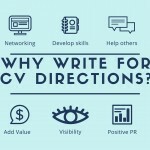 Why Write for CV Directions? Visibility: establish yourself as an expert with a reputation for excellence. Help others: collaboration is crucial for the best health care. Sharing your best practices with other health care professionals will help improve patient treatment nationwide. Networking: those who read your article will likely seek you out if they would like to know more or if they would like you to speak on your topic. Positive PR for your hospital: CV Directions features the latest innovations and initiatives from the most progressive and outstanding institutions. Your hospital can be one of them. Add value to your career: being published in a recognized professional journal can influence hiring or promotion decisions. Develop writing skills: writing skills matter – and they can come at a premium in your field. Yes, you do. Articles are often their best when written over a period of time. Writing a little at a time can help you develop your thoughts in a succinct manner and will give you reflection time to edit. You can be. And, you have the full ACVP team behind you every step of the way. You know the subject matter, and we can help edit your writing. Yes, they do. Everyone has their own areas of expertise and areas in which they are less comfortable. Sharing your expertise will help fill in gaps of knowledge some may have. Yes, there is. See above!